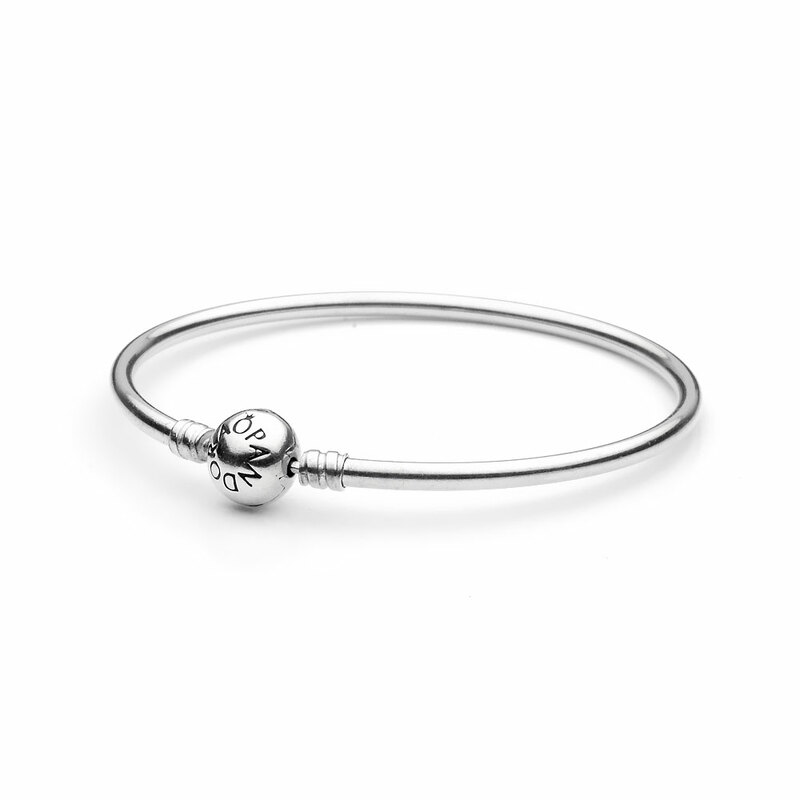 Silver Bangle Bracelet - PANDORA is rated 4.6 out of 5 by 152. Rated 5 out of 5 by MzKittyByrd from My New Favorite Piece! This was a 30th birthday gift to myself! Love it!! Rated 5 out of 5 by Tran from Beautiful bangle It is very nice bangle, perfect size, very cute and pretty. It goes well with any outfit. Bought the product online and it was very fast shipping. Love it! Rated 5 out of 5 by Adrienne from Beautiful Bracelet!!! I have purchased several Pandora bracelets and charms over the last few months. I must admit my mom has been into Pandora and tried to turn me on to it for at least a year. I just didn't get the style and beauty of it at first. When I pumped my brakes and really took the time to take it all in - I fell in love real fast and real hard. I own 7 bangles of my own as I love the stacked bracelet look. I am now in the process of adding very select and special charms to each bracelet. I have gifted both my daughters with a bangle and a couple of charms as well. We are a Pandora family for sure. Rated 4 out of 5 by Binktam from It’s a keeper! Husband got this for me. I layer it with another lobster clasp style bracelet. I like it with with no charms but right now I have 3 charms & a stopper on it I think I will keep it simple. My only complaint is when I clean it with my jewelry cloth I can’t get it to shine properly. Rated 1 out of 5 by Bran from Poorly locking clasp I bought this in 6 months ago as a set and it has come open twice resulting in the loss of one charm. I purchased an additional safety chain and when it opened the second time the safety chain had also unscrewed and was dangling. Not sure if I can continue wearing this bangle style. My Pandora chain style does not do this. Rated 5 out of 5 by eyeful_glimpse from Loveee I own three of these. I look great layered. Sometimes i keep the all empty or sometimes filled half way. I'm not sure if the company recommends it but i have worth the bangle full too & its still comfortable. Rated 5 out of 5 by Doc4166 from Love!!!! My favorite bangle!!! So far my fourth on the weight and quality is Great!!! Rated 5 out of 5 by Barag from Love my bracelet I bought two bracelets....they fit over my hand and look great with my watch. Couldn't be happier!